I only just realised that I missed the 2nd Birthday of this place; I'd not expected it to last this long so it was a bit of an odd feeling, especially as more and more stuff keeps appearing in the Facebook group and in my email. So, to celebrate my belated birthday, have another band that I've been meaning to put up for ages and were promised back in July last year, yes, it's finally Denim! Most of what I can say about the marvellous Lawrence Hayward - his supposedly OCD behaviour, his supposed eccentricity - is back in the Felt post from before, so I'll not go over old ground too much. Suffice to say that after ten years of putting out Felt records, Lawrence split the band up, took a couple of years off and came back with Denim, a three piece with a far more polished and professional sound, unfortunately a couple of years before Brit Pop would break (and where the band would no doubt fit quite nicely), and we can only assume he was aiming at a whole new generation of indie kids; the first album "Back in Denim" was followed rapidly by the "Middle of the Road" single above; the follow-up album "Denim on Ice" was released four years later when Brit Pop had really taken hold. Blur and Oasis had already committed chart murder with their bloody Country House versus Roll With It shenanigans and we were seriously thinking of getting a new government. Unfortunately, Denim on Ice didn't get the press coverage it deserved, it's a fantastic album and really should have made more of an impact - if you can face spending a fortune on ebay it really is worth getting hold of. Sadly for us and the face of indie, Laurence gave up with Denim and went off to do his own thing again with his newest band Go Kart Mozart. So there you go, finally Denim get in. The Trouserpress page is very good and there's a wiki page needless to say. Oh, and the first of Lawrence's new band's albums "Back in Denim" has recently been re-released. So, the band went about being populatr the old-fashioned way. They released a flexi disk before setting up their own label - Heaven - and getting a bit of Peel airplay and meandering about the early 90s twee scene for a few years, before splitting in about 1994. Today's featured poptacular is this: a cover of Spandau Ballet's firsr release. The flexi in question is a split double-sided effort with Confetti, Mark D's side project. Fat Tulips - To Cut A Long Story Short (right click & "save as" to download. Of course, there is a wiki page as well. 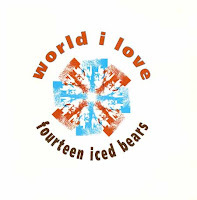 ...or possibly Fourteen Iced Bears depending on who you believe (I'm going with the numbers, I like a good number in pop) are another Sarah Records band and this time they're from Brighton. Anyhow, the band started off with some cracking jingly-jangly-Sarah-twee (I'd thoroughly recommend getting hold of "Come Get Me") before moving on to what the book calls "a more focused retro sound", which to my ears means going a bit rock, but hey! The featured track today is 14 Iced Bears - The World I love in the natty embedded player below (if only I'd realised what everyone else did 5 years ago you'd have had it more already! ), and is from the latter stages of the career and is a bit more 'focused and retro' but still a cracking bit of very late 80s indie. The band released a good lot of singles (see Tweenet) including one on Sarah (which is why they're here, I'm finally doing a sweep of the label), recorded a couple of Peel Sessions, were on the semi-legendary Alvin Lives in Leeds compilation, belatedly released an album and split in 1991; not a bad half dozen years by anyone's reckoning. There is of course a wiki page and a myspace. Happy Friday the 13th! As we roll headlong towards the second anniversary of this internet nonsense, I'm clearing still the backlog of stuff I wrote down ages ago and never got round to putting on here; so let's keep clearing the metaphorical decks with The Sea Urchins. Formed in West Bromwich in 1986, the band were intially signed to the legendary Sarah label after being launched onto the C86 scene with a couple of split flexi disks which brought them to the attention of the label. Were flexi disks the 1980/1990s equivalent of Myspace? Discuss. There's a question for my newly thought of BA (hons) in Indie Pop, I'll probably run it out of one of the crapper ex-Polys. Anyway, I digress. Formed by James Roberts, Patrick Roberts, Simon Woodcock, Robert Cooksey, Bridget Duffy and Mark Bevin (who was replaced by the time the first "proper" single came out), the band were flexible in membership over their life and had split due to contractual shenanigans before Sarah released an album of all their recordings in 1992. Latterly the band have reformed on and off for gigs and an album 2000; in the meantime, several members of the band had continued to play as Delta. If you want some train of thought ramblings, try the myspace page and if you want a brief overview, the band are on wikipedia. 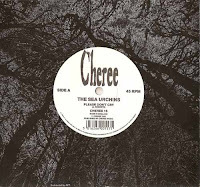 So, for your Midlands listening delight today, here is The Sea Urchins - Please Don't Cry, and it might just be me but didn't Oasis steal this lock, stock and barrel for whatever that dirge with Rhys Ifans in the video was? And this is a test of a nice embedded mp3 thingy, let me know if you like it.